* To enter, leave a comment on this post and tell me your kids' favorite movie of 2008. Don't forget to include your email address so I can contact you. The contest ends at midnight PST on January 11, 2009; I will draw a winner at random on January 12, 2009 and post the winner's name on the same day. For the full giveaway rules, click here. Good luck! Happy Birthday 3Po and Jammy! By the time you read this, I'm probably going to be knee-deep in an inflatable ballpit, surrounded by twenty-four excited kids, hyped up with birthday cake and ice cream, all bouncing into each other and screaming at the top of their lungs. Lucky me. * Leave a comment on this post and tell me your kids' favorite dance music. Don't forget to include your email address so I can contact you. The contest ends at midnight PST on January 10, 2009; I will draw a winner at random on January 11, 2009 and post the winner's name on the same day. For the full giveaway rules, click here. Good luck! Who won the Jumpy House cd? Happy birthday to 3Po and Jammy! The winner of the December 19 Jump in the Jumpy House cd giveaway is Shelley. If you're not Shelley, don't despair -- I'm giving away another Jump in the Jumpy House cd today. 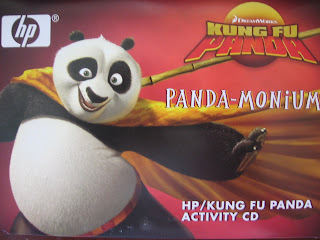 Today is Day 6 of my 12 Days of Christmas giveaway, so stay tuned for another chance to win this fun cd. Today's giveaway is a Disney photo mug, another great photo craft you can create and order at Disney's PhotoPass. I really like that the design wraps all the way around the mug, not just on one side. And of course, the Disney designs make it much more special than the average pharmacy photo center mug. My mother, the mug-lover, would love this one! * Leave a comment on this post and tell me your favorite Disneyland ride (if you haven't been to Disneyland, share your favorite amusement park ride). Don't forget to include your email address so I can contact you. The contest ends at midnight PST on January 9, 2009; I will draw a winner at random on January 10, 2009 and post the winner's name on the same day. For the full giveaway rules, click here. Good luck! Every year, after Christmas, I set about making a new calendar for our kitchen wall. This involves taking last year's calendar and marking all the important dates (birthdays, anniversaries, tax payments, house payments, summer vacation, any trips we have planned) up on a new calendar (usually some freebie, occasionally a photo calendar). For 2009 it's going to be a Disney Photo Calendar from Disney's Photopass service. These Disney calendars are so cute that even Alfie, the Disney skeptic, was entranced. The 12-month calendar is entirely customizable. Not only can you choose photos and backgrounds, you can also enter your own holidays, Disney milestones, special occasions and personal celebrations. It all appears in a nice font instead of my miniscule handwriting that Alfie always complains about. You can even choose which month to start in. * Leave a comment on this post and tell me your favorite Disney Character. Don't forget to include your email address so I can contact you. The contest ends at midnight PST on January 8, 2009; I will draw a winner at random on January 9, 2009 and post the winner's name on the same day. For the full giveaway rules, click here. Good luck! * Leave a comment on this post and tell me your favorite scent for your hair and body care products. Don't forget to include your email address so I can contact you. The contest ends at midnight PST on January 7, 2009; I will draw a winner at random on January 8, 2009 and post the winner's name on the same day. For the full giveaway rules, click here. Good luck! Today I'm giving away a Leapfrog Didj to one lucky reader. And I do mean lucky, because my kids really love them some Didj. It's Leapster's latest and greatest toy, fusing learning and gaming. Just like the Leapster2, (I like to think of the Leapster2 as the Didj's younger sibling) , kids can play games featuring popular characters. The games incorporate math, reading and spelling, and parents can check on their kids' learning progress via the Leapfrog Learning Path. Get $10 off the Didj for a limited time at the Leapfrog store. Or get one free by joing the giveaway below. The coolest feature of the Didj? It allows kids to personalize their gaming experience -- they can customize the display color scheme and even the appearance of the characters playing the games. Playing with the Didj earns them points that they can redeem online for even more ways to personalize their gaming experience (like new boxing gloves for Spongebob or a special victory dance for Obi Wan Kenobi). We actually got our Didj in September, but I've waited ages to review it because the online points feature (Micromods, they call it) was not up and running at that point. I knew it would be strong selling point for my kids: it keeps them going back again and again to the Didj -- because the personalized features keep it interesting, and the points earning system gives them an incentive to play. * To be eligible for entry, join the Leapfrog Community OR follow Leapfrog on Twitter. Leave a comment here with your Leapfrog community user name or Twitter user name so I can check. Don't forget to include your email address so I can contact you. * For TWO extra entries, go to my Leapfrog Community blog and post a comment on my Didj giveaway post. The contest ends at midnight PST on January 6, 2009; I will draw a winner at random on January 7, 2009 and post the winner's name on the same day. For the full giveaway rules, click here. Good luck! Merry Christmas! And what better way to celebrate than with presents for everyone? Over the next 12 days I'll be giving out presents big (ok, not so big) and small. Today we start with a Leapster2, that great gaming/learning system you can feel good about letting your kids play with. And because I wanted to introduce you to another great site that I blog on -- Being Savvy Silicon Valley, a great resource for preschools and activities in Silicon Valley -- I'm running the giveaway there. Just go over to my Savvy Christmas post and leave a comment to join. Good luck! Two of the giveaways will be hosted on Being Savvy: Silicon Valley, my latest blogging gig (it's a great resource for preschools and activities in Silicon Valley; if you don't live in Silicon Valley, never fear, there are over 40 other city guides!). To enter, simply visit my Savvy posts on December 25 and January 1 and leave a comment there. * Blog about the giveaways on your own blog..
* Twitter about the giveaways (I'm @bonggamom on Twitter). * Put my "12 Days of Christmas" button on your sidebar (see below for the code). Each of the giveaways on this blog will last for 12 days, and I'll pick winners at random using http://www.random.org/. Visit Bonggamom Finds each and every day of Christmas! Isn't that the cutest shirt? I first saw PeaceLoveMom's shirt on Kate Gosselin from Jon and Kate Plus 8 and I thought the pink smiley was the just the thing a mom of 8 needs -- if the kids are driving you crazy and you just can't put a smile on your face, at least you can wear one on your shirt. Want to win one of these lucky mom shirts? 3P's in a Pod is hosting a PeaceLoveMom tshirt giveaway! She's also got a couple of other giveaways going on-- one for a cute storytelling Zaki doll, as well as a Potty Caddy giveaway. * She's hosting a Build-A-Bear giveaway on her review blog, This Full House Reviews. You can leave a comment to enter to win a $10 Bear Bills giftcard -- as well as an additional $10 Bonus Giving Card for you to use at DonorsChoose.org and donate to a classroom project of your choice, courtesy of BuildABear.com! You win, a nonprofit wins, everybody wins. * She's partnering with Stop and Shop to raise $300 for the Community Food Bank of New Jersey. Just stop by her Blogging Out Hunger post and leave a comment; for every comment left, Stop and Shop will donate $1 to the food bank! Thanks, Liz, for reminding us what Christmas is all about. Who won the Real Simple shoe bag? And the winner of the Real Simple shoe bag giveaway is.... (after removing several invalid entries) Terra Jones. Congratulations! I'll be contacting you for your mailing address -- please respond within 5 days so I don't have to draw anyone else. 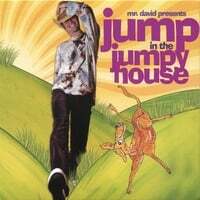 Thanks to all who entered and stay tuned for more giveaways, including my Jump in the Jumpy House CD giveaway! I have wavy hair (I had curls as a baby), and Alfie would still have curls today if he had enough hair leftwore his hair longer, so it wasn't surprising that The Pea spent her babyhood with a head of adorable curly hair. It has relaxed to more of a wave at this point, like mine, and just like my hair, The Pea's hair frizzes at the slightest hint of moisture. It tangles into such impossible snarls that she runs away from me in the mornings when she sees me walking towards her with a hairbrush. When I received a Curly Q's girls hair care set from CURLS, The Pea took one look at the bubblegum-colored labels and quickly pounced and claimed the set for her very own. It's amazing what cute, girly packaging can do: she's so diligent about her hair care regimen now. She'd use the Curlie Cutie Cleansing Cream and Coconut Dream Moisturizing Conditioner every single day if I let her. She's been using these two for a couple of weeks now, and everybody loves the coconutty smell (I'm surprised complete strangers don't come up to her and take a sniff of her fruity head). The Radiant Ringlets Curl Gloss smells like a pineapple shake and leaves her hair nice and shiny. I love that the products contain natural, organic ingredients which don't dry out or destroy her hair. The best part? Mornings are less of a battle now because her hair isn't so tangled up. I have to confess that I've been sneaking some of her conditioner for myself. Even though my hair is wavy, not curly (Type 2A or 2B according to the Curls Hair Type/Product Recommendation chart), it really does a great job of smoothing out the tangles. Hmmm.... 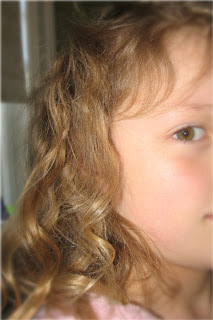 I think I'll try the Curly Q Milkshake (to tame my frizzy hair) when she's not looking. Hey, I want my hair to look and smell yummy, too. If you've got curly or wavy hair, stay tuned for a review of more CURLS products for women. And keep checking back; I'll be coming out with a Curly Qs product giveaway soon! Now that school's out, I think I'll take the kids back to Nut Tree Theme Park. They really enjoyed it the last time we went, and they've been asking me to take them back to "the place where the train squirts water at you". That was in the scorching heat of September; I'm hoping they don't squirt water on us this time. Use Promo code HOLIDAY08 to purchase Nut Tree Passports online for 25% off! The Good: It's a feel-good present; socially conscious and sweet to boot. European chocolate that's earth friendly. It's beautifully presented in a recycled, eco-friendly box. The price is not bad, either ($18.50 for a box of 18). The Bad: When someone advertises Belgian chocolate, I expect smooth, silky, richness. Being organic or fair trade is no excuse for tasting like cheap chocolate. Especially when it isn't cheap. Truthfully, some of the varieties (*cough* peanut butter cup! *cough*) ended up tasting a bit like cardboard. The Bongga: The Green Tea chocolate starts out interesting, and ends up addictive. I could eat that one all day. Alfie liked the mint, and he thought the mocha-filled one was excellent. Too bad we can't pick and choose our own mix. 3Po and Jammy are celebrating their 5th birthday next week at Pump It Up, Jr. Unfortunately, I can't invite you all to their party, because, well, I don't know you personally (and don't take that personally, I still love you). Besides, 26 hyperactive kids bouncing off the walls is already more than I can handle. However, I'm still including you in their birthday fun -- I'm sending someone home with a special party goody bag featuring some of the tchotchkes that I'm including in 3Po and Jammy's goody bags -- plus a great CD from children's musical artist Mr. David. Jump in the Jumpy House is just the kind of music you want to be playing at a birthday party at a bouncy house place -- it's edgy, bold, and fun to groove down to. The title song in particular makes me feel like we should be headbanging and hopping around frenetically. The boys are in hysterics over his lyrics ("Crocodiles eat little boys...... just kidding"). Best of all, it doesn't make parents want to tear their hair out. * Leave a comment on this post -- don't forget to include your email address so I can contact you. I'll draw a winner at random on December 29, 2008. For the full giveaway rules, click here. Who won the No Slippy Hair Clippy? And the winner of the No Slippy Hair Clippy giveaway is commenter #1, dolls123. Congratulations! I'll be sending you an email soon.... please respond with your mailing address within the next 5 days. Guess what -- today is Free Shipping Day! Over a hundred online stores are offering free shipping today, with delivery guaranteed by Christmas Day. I'm not really sure who's behind this -- environmental groups, shipping companies or online merchants -- but you, the consumer, are the biggest winner. Check out the list of stores participating, and go do that last-minute Christmas present without having to find parking! If you're starting to panic about what to give your little genius, look no further than Leapfrog's online store. Yeah, they make great products and all, but more importantly, they're on sale! Get great discounts and free shipping on orders $49.99 and over. With deals like $9.99 Tag books, that'll be easy. The offer ends Dec. 19 -- which also happens to be the last day you can place an order and still get it shipped (did I mention shipping is free?) in time for Christmas. It's a sad fact of life: for grownups, at least, fruit juice is a diet wrecker. Even though I don't think anyone got fat from drinking too much fruit juice (I'm talking 100% juice here, not any sugar-filled crap), if you want to lose weight, chugging fruit juice is not the way to go. Every sensible diet and healthy lifestyle books says it: eat the fruit, don't drink the juice. Fruit juice is too concentrated in calories, if you're going to have fruit, get some fiber with it. I don't remember feeling full after drinking the Trim samples, nor can I vouch for the effects on my metabolism, but I do think they've captured that real fruit flavor and texture. I could pass on their Blueberry Pomegranate and Strawberry Kiwi flavors (I've never really liked those combinations), but the Mango Peach flavor was divine. It tasted just like real fruit juice, the kind they squeeze fresh for you at hotels in Hawaii. If I close my eyes I can even imagine a poolboy named Pablo handing me a glass of Mango Peach Trim with a little paper umbrella tacked onto the rim. You can keep your apple juice, kids -- I can hardly wait to try the Tangerine Pineapple! My parents are big on photos. Every square inch of their home is adorned with frames: family photos, photos of us (the kids) as kids and as grownups, and now, of course, photos of the grandkids. Getting them presents for Christmas is pretty easy -- just stick a photo on it and they'll like it. So along with the frames, they have a ton of photo calendars, mugs, mouse pads, shirts, posters. They love it all, but my mom does end up with a ton of one-of-a-kind photo mugs. 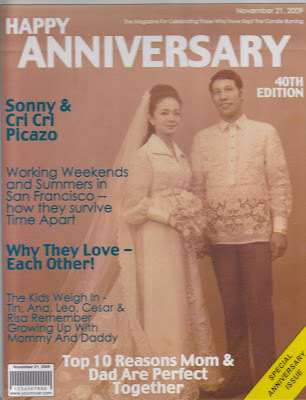 Their 40th wedding anniversary is coming up next year and I decided to get them something more out-of-the-ordinary, something they'll want to display at the big anniversary bash they're planning for family and friends. So I went to YourCover.com and got them a personalized magazine photo cover. The folks at YourCover.com graciously allowed me to try out their Magazine Cover product, and I'm very happy with the result. You just upload a photo to their website, choose the occasion (anniversary, birthday, graduation, mother's day, ) and the magazine layout is automatically created for you -- no need to fiddle with Photoshop, or God forbid, Microsoft Paint. If you're not feeling witty or schmaltzy enough to compose your own messages, you can use their suggested text and customize it for the people you're featuring on the cover. The nice thing is, the products come in all price ranges. If you want to print it out yourself, you pay $15 for the JPEG image download. If you just want the front cover to hang in a study or den, you can have them send it to you in a nice wooden frame for $45 (shipping included). Or you can go the whole hog and get a front and back cover (the back cover features customizable messages and a smaller photo) in a clear plastic standalone frame for $55. They also do centerpieces and invitations so you can create themed party decor centered around your chosen photo. Win a $100 Lands' End gift card! Here's a great opportunity to win a $100 gift card from Lands' End (and who doesn't love Lands' End? If you don't, this is not the blog for you, you'd be tearing your hair out every time you see one of my lovey-dovey Lands End posts)! To join the Lands' End gift card giveaway, all you have to do is take the Lands' End Sun Life 2008 survey. It's only 22 questions (I'm sure you've taken much longer ones at college) and only takes a couple of minutes to complete (look, even a monkey could do this survey -- and you really don't want a monkey winning that hundred bucks, do you? I'm sure you'd look better in that Faux Shearling Car Coat than the monkey would). Upon completing the survey, your name will be entered to win one of five $100 Lands' End Gift Cards. To be eligible to win, you must complete the survey by midnight (CST) on Friday, December 19th. Remember, don't let the monkey win! You could slip in a bottle of wine and take it as a hostess present for one of the million holiday parties you're going to be attending, you party animal, you. You could use it to pack a sandwich lunch when you're feeling virtuous/eco-chic/thrifty/all of the above. You could use it to store purses, camera lenses, binoculars, and anything else you don't want gathering dust. * Leave a comment on this post -- in your comment, share your favorite organizing tip. Don't forget to include your email address so I can contact you. I'll draw a winner at random on December 22, 2008. For the full giveaway rules, click here. Add in the fact that my photos are generally crap (i.e. I take 10 photos of the same thing and throw 9 away), and the grownups end up with 3 or 4 decent photos of themselves. Yes, I realize the kids are much cuter than we are, but honestly, you'd think the kids were vacationing all by themselves. At Disney's mom blogger event last December 5, we were introduced to a new service -- the PhotoPass -- which helps even up the score a little. It's quite a good scheme: Disney has stationed photographers all around the most scenic spots in their parks, all ready and waiting to capture that priceless moment. No more stopping strangers and asking them to take the shot for you (ok, the Disney photographer is also a stranger, but he's probably a nice stranger. At least you'll have confidence that he isn't pressing the zoom button when he thinks he's pressing the shutter. And you're sure he won't cut your husband's head off the shot. Or blur the whole thing. Or run away with your camera.). So you smile and pose with confidence, knowing that this Disney guy will take the perfect shot of you and your family, with better equipment than you'll ever be able to afford (or want to take into the parks, anyway). He will then hand you a PhotoPass card with a code on it. You hand this PhotoPass card to any Disney photographer who takes your photos so he can associate them with your card. The next time you get on the internet, you can view your photos online at DisneyPhotoPass.com (you'll need to register and create an account). The site is similar to many of the commonly-known photo hosting sites like Shutterfly, Kodak Gallery, etc... You can upload your own photos and view them alongside the ones the Disney photogs shot, edit them, add borders and graphics, share them, order prints, calendars, cards and other creations. 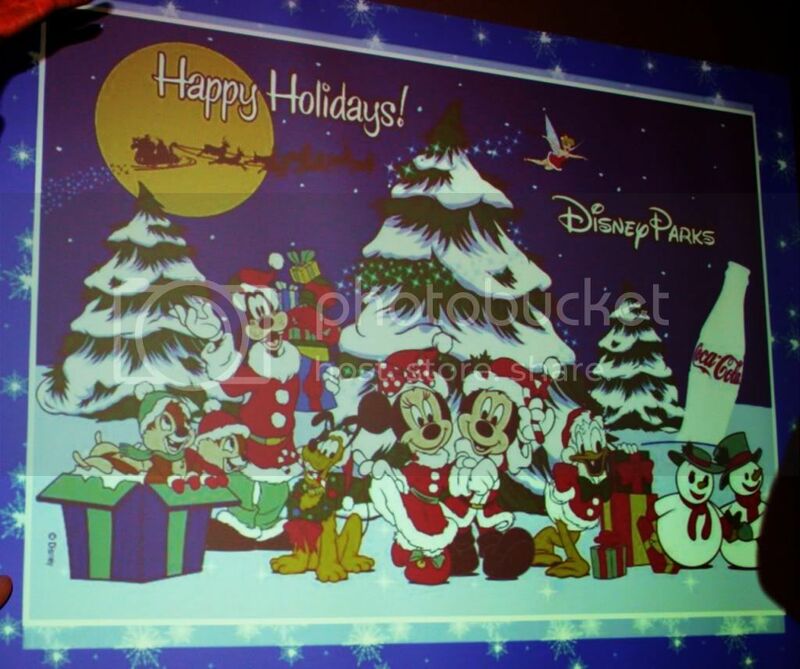 Except, of course, you get all the cool Disney graphics and borders to spruce up your photos and cards and projects. Cute clothes? Free shipping? No minimum? In time for Christmas? Sweet. BUT WAIT! Throw in 25% off your entire purchase? I am so there..... and you should be too -- but it's got to be before the 16th, when it all ends! Who won the Playdoh Magic Swirl playset? If you didn't win, don't worry. I've still got the No Slippy Hair Clippy giveaway running. Keep coming back, I'll be posting more giveaways throughout the month -- including a Leapfrog Didj! Just a small giveaway today -- a No Slippy Hair Clippy -- but it's so darn cute I want to keep it to myself. Unforunately The Pea is too old for this; it would have been perfect for her when she was younger. She was born with hair as fine and slippery as silk. She had so little hair, she looked like a baby boy (maybe the fact that she used to wear hand-me-downs from my sister's son had something to do with it). I hate those elastic headbands that looked like Richard Simmons 70's sweatbands with a ribbon in the front), so I was always on the hunt for girly clips for fine hair. No Slippy Hair Clippy, you are seven years too late, but your products are so cute, I forgive you. * Leave a comment on this post and tell me which hair accessory out there looks cutest on your special little girl. Don't forget to include your email address so I can contact you. I'll draw a winner at random on December 18, 2008. For the full giveaway rules, click here. Thinking of taking the family to Disneyland? Now is definitely the time. They're at the tail end of their slow season, the weather is nice and cool, and they're already celebrating the holidays. It's hard not to get into the spirit of the season after visiting the Disneyland Resort anytime in November or December. The good people of Disney certainly throw their heart and soul into dressing up the place for the holidays. From the moment you enter the park, there's no doubt as to the time of year. Even the giant letters in Disney's California Adventure have been candy-cane striped for the holidays -- so actually, even before you enter the park you'll see signs of Christmas. (Yes, I'm being un-PC but then again, all I saw were traditional red-and-green Christmas decor. No blue and white Hannukah themes, no Kwanza, not even Festivus. So Christmas it is). * Jack Skellington from The Nightmare Before Christmas takes over the Haunted Mansion. * The French Cancan dancers inside the It's A Small World ride have jingle bells tied to their ankles and skirts (like the Haunted Mansion, this ride was closed down to decorate the whole thing especially for the holidays). 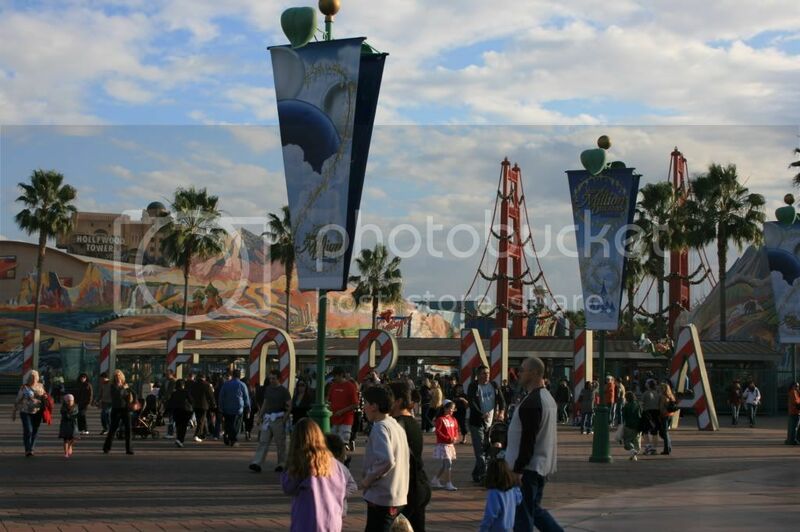 * The gigantic Christmas tree decor scattered all around Flik's Fun Fair at California Adventure. 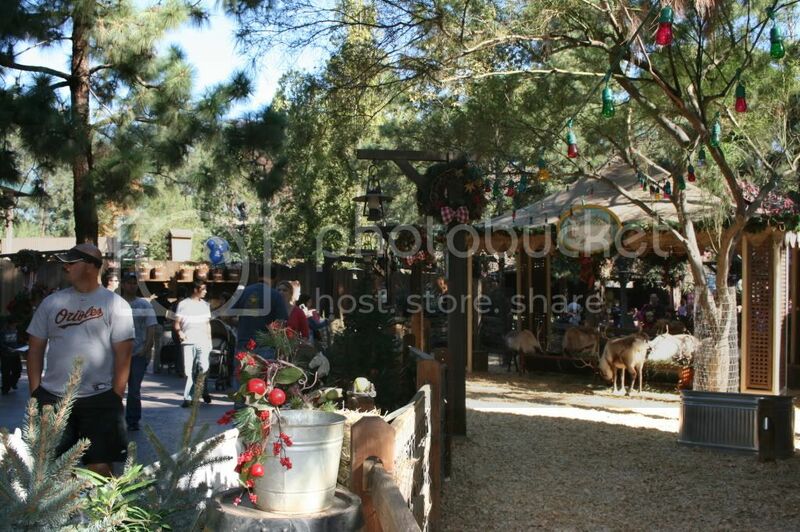 They've got a special Christmas section over at the Big Thunder Ranch featuring Santa (there's a line to see him; apparently he's just as big a celebrity as Mickey and Minnie) and his reindeer in a cute, if smelly, little paddock. 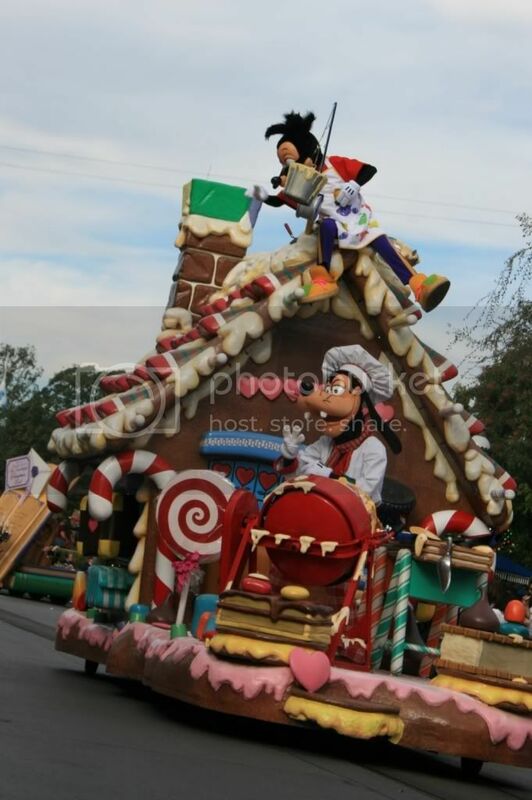 Their "Christmas Fantasy" parade features float after float of holiday themes like gingerbread houses, snowflakes, Santa's Toyshop and Santa himself. We planted ourselves on the Main Street sidewalk an hour before the parade started in order to get a prime viewing spot -- in the shade, the sun behind us, with a great view of Sleeping Beauty's castle (also decorated, of course) to our left and the giant Main Street Station Christmas tree to our right. It was totally worth it -- we sat and had lunch while waiting, and we were close enough to shake the performers' hands (I was a bit surprised to see that they don't go around shaking people's hands anymore like they did when I watched the parades as a kid -- how long has it been like that?). 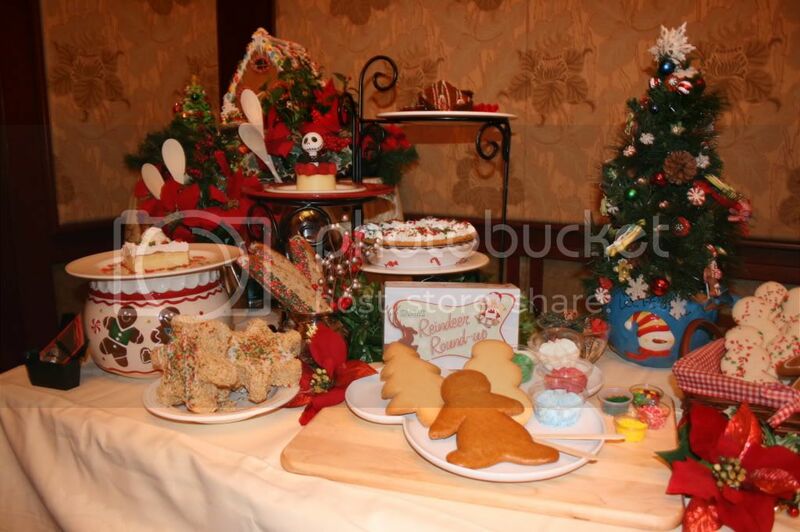 At the Disney blogger event we attended over the weekend, we got to see a presentation of all the yummy holiday treats available at the Disneyland resort, like gingerbread men, individually sized cranberry-lemon tea loaves, rice krispie stars (these were delicious -- here's a tip, people, they use unsalted butter), decorate-your-own cookies and a Jack Skellington cheesecake. When you visit the Disneyland Resort over the holidays, definitely plan on leaving your diet -- and your cynicism --at home. 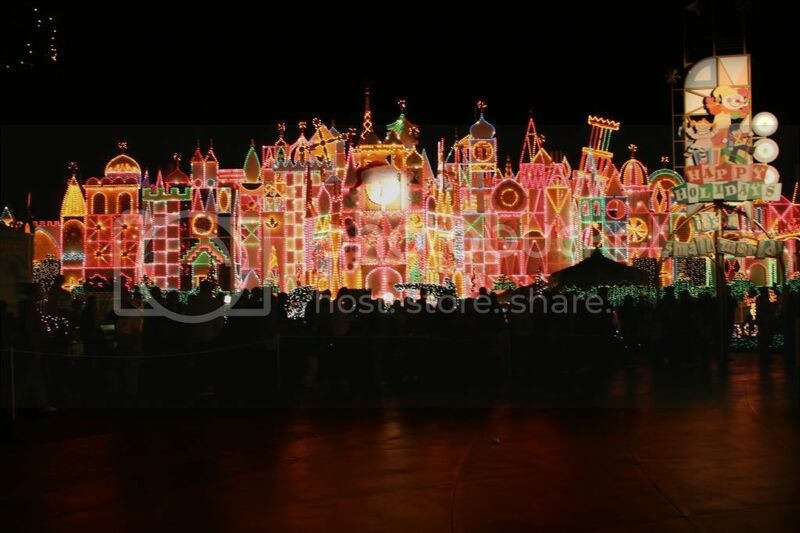 To view the slideshow (and more photos of holiday magic at Disneyland), click on this link or on the photo above. Also check out my friend Techmama's liveblogging notes on the event. This morning I went to Krispy Kreme to get a box of doughnut holes for The Pea's girl scout troop, when lo and behold, I see they have a new product: mini donuts! They're just the right size for kids -- about 2.5 inches across (I would guess the regular size is about 4 inches across), and apparently about half the calories and fat of a regular-sized donut. 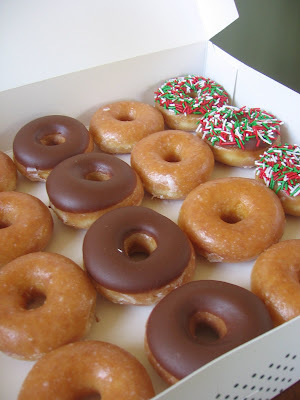 As usual, their sprinkled donuts come in seasonal colors (now red, white and green for the holidays). A box of 20 costs $6.99 (same as a box of 12 regular-sized donuts). If only they sold the minis individually! Who won the Trendy Bebe giveaway? Who won The Rabbit and The Snowman? Mr. Done teaches 3rd grade at The Pea's school. From what I can tell, he's quite a popular teacher; not just because he's a male teacher (I personally think there would be less troubled teenage boys if schools had more male teachers as role models), but because he's a good one. He's the kind of teacher that parents whisper about before the first day of school ("Your kid got Done? Lucky you, I've heard he's great" / "We're in Done's class? Sweeeeeeet!"). The kind who really cares about his students and makes learning fun for his class. And as it turns out, he happens to be a brilliant author as well. 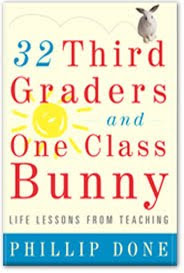 So if you're not lucky enough to have a child in one of his classes, head on over to Borders and grab a copy of his book, 32 Third Graders and One Class Bunny. He graciously gave me a copy of his book to review, and I have to say he does a great job of opening up his classrooms doors and showing readers what goes on. If you think teachers have it easy (school ends before 3PM, and you get 3 months off), look again. Try managing the expectations of your star underachiever's delusional parents during their annual teacher-parent conference. Try staying healthy in a room full of sniffling kids who wipe their noses with their hands. Try keeping a straight face when a student tells the class his parents need a new bed because he hears it squeaking and creaking every night. Oh, yes, it's all there, down to the last Thanksgiving craft and Uranus joke. There's a fair amount of screaming involved, not to mention sighing (on the teacher's part), throwing up (kids) and crying (both). Mr. Done (sorry, I can't call him anything else) is to teachers what Erma Bombeck is to moms: the insider who gives us a glimpse of what it's like to be a teacher: sometimes crazy, often hilarious, and always very, very touching. Kind of like being a parent, come to think of it. Fairy godmother, please let The Pea get into Mr. Done's class next year! Who won the Turbo Tooth Tunes? Your chances of winning are GREAT at this point, and all you have to do to enter is leave a comment -- so head on over and join! A fellow twin mom and fabulous clothes designer is sponsoring a Winter Wonderland clothes sale on December 7th. I don't quite have the chutzpah to wear truly quirky, hip clothing (Bonggamom, where art thou?!) this holiday season, but I can at least outfit The Pea in quirky, hip clothing. Now that December is here, all kinds of snowman books are coming out of the woodwork. The Rabbit and The Snowman, written and illustrated (beautifully illustrated, I should add) by Sally O. Lee, is just the kind of book you want to be reading your kids this season. It's about -- surprise, surprise -- a rabbit and a snowman, two loving, insecure creatures who find each other, lose each other, and find each other again. It's a great testament to the enduring power of friendship. I'll draw a winner at random on December 8, 2008. For the full giveaway rules, click here. * Come back for more giveaways in December! In the world of interactive, read-along systems, there's a new kid on the block: The Poingo. 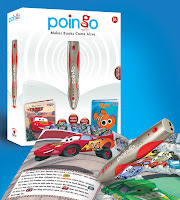 A product of Publications International, creators of the popular StoryReader preschool books, the pen-shaped Poingo works with Poingo's specially-designed books and brings them to "life". When kids touch the text on the books, the Poingo reads the story out loud, complete with music and sound effects. When they point to pictures, they get music, funny phrases, and other fun sounds. We recently got a chance to test the Poingo, and the vote is unanimous: it's a great toy. My kids love going back and discovering all the "treasures" on each page. I love how it gives me a break from reading out loud from time to time. Features are very similar. Even their selection of books is very similar, with lots of popular kids titles from the Disney line (Poingo, being newer, has less available, but more are on the way). The biggest difference is that kids can use the Tag reader to read individual words to them, while the Poingo reader can only read the entire page of words. So while both brands foster the love of reading by making stories interactive and fun, the Tag also (i.e. kids can try to read individual words on their own and use the Tag to see if they've read it correctly). And the Tag connects to the Leapfrog Learning Path, which lets parents keep track of what their child is doing with the product when they're not looking. Both systems are pretty straightforward -- just point the reader at the words and it "reads" out loud. So they're both easy to use -- as far as the kids are concerned. The difference lies in the grownups' involvement. Both require parents to download the audio files for the books into their respective readers. But the Poingo has space for 50 different books (versus about 6 for the Tag), which means you can build up a good-sized library without having to constantly move titles on and off the reader. This is another big plus for the Poingo; it's way more affordable. For $34.99 you get the electronic reader and two hardbound books; additional books are $9.99. The Tag costs $49.99 for the reader and one paperback book; additional books are $13.99. Poingo says it's suited for ages 3 thru 7, Tag says 4 thru 8, which is consistent with my own opinion: the content, physical size and font size of the Poingo books suggest that they are targeted to a younger audience than the Tag. And while the entertainment value is no age limit (hey, even I like having a story read to me), I would argue that the educational benefits for either of these brands don't really apply to kids 6 and up. And the overall winner? Hmmmm..... I'll let you decide. Is budget a concern? Go for the Poingo. Do you hate messing with downloads? Again, the Poingo is better. Are you looking for more learning features? Go with the Tag. With either product, your child ends up a winner. The good news is.... Today is Black Friday!! The busiest shopping day of the year! The start of the Christmas shopping season! What fun! No, hang on... waking up at 5am and fighting with other parents for the latest "in" toy? Fighting the crowds and spending tons of money? That's not the good news. The good news is that you don't have to leave the house to get started on your Christmas list. 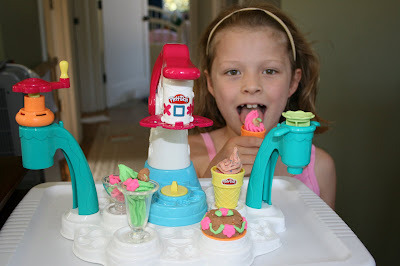 Just join today's giveaway for a chance to win a Play-Doh Magic Swirl Ice Cream Shoppe playset. * Leave a comment on this post. Tell me what kinds of confections you can make using the molds included in the playset (Hint: you can visit my review post for some answers!). Don't forget to include your email address so I can contact you. I've given you the good news first, now for the bad news. Today is the last in the series of my Hasbro toys giveaway :( ...... So far, we've given away an I-Dog Dance, I-Dog Tunes, Sea Pals, Busy Balltivity Center, Tooth Tunes Jr., Turbo Tooth Tunes, and now this Play-Doh set. But wait! More good news (this post is kinda bipolar, isn't it?) -- I still have lots of other products to give away in December, so keep visiting this site! What do you give the child who has everything? Something personalized, of course! Unique and personal gifts are all the rage these days, and online boutique The Trendy Bebe offers a great selection of personalized gifts for any occasion. Trendy Bebe features all the hottest "it" brands and hard-to-find labels. For the love of that fluffy pink tutu skirt , I wish they had stuff like this when mine were babies. It almost makes me want to give birth all over again. I'm really digging the infant onesies with clever sayings like "Fresh out of the oven", "Just Hatched" or "I'm not a boy" (waaaay better than those awful infant headbands for baby girls). And how I WISH I could squeeze 3Po and Jammy into those adorable twin "1 of 2" / "2 of 2" onesies! Thanks to the good folks at The Trendy Bebe and Mom Blog Marketing, one lucky winner will receive a free small personalized shantung album. The album comes in pink or blue. You can even personalize the cover with a name, birthdate or monogram in chic brown or white writing, and a brown or white grosgrain ribbon. * Go to the The Trendy Bebe website and select your favorite two products (my faves? Those twin onesies I mentioned, and anything with polka dots on it). * Leave a comment on this post -- tell me which two Trendy Bebe products you like best. Don't forget to include your email address so I can contact you. * I'll draw a winner at random on December 9, 2008. For the full giveaway rules, click here. Only one person can win, but don't despair. Trendy Bebe is giving my readers free shipping on purchases made on their website. Just enter the code WINTER at checkout. * Come back on Nov. 28 to enter my PlayDoh Magic Swirl giveaway! Okay, I lied. I just wanted to make sure I had your attention. American Girl's standard Free Shipping Code (GIFTSHIP) does end today. However, since I'm all important and well-connected and stuff, I've got another Free Shipping Code that is valid until November 29th. Just enter Key Code # PA82024. You know that's about all the discount you're going to find on American Girl products, so go log on to their online shop and go crazy. Because I can't. To redeem this free shipping offer, please enter the free-shipping code GIFTSHIP at checkout. Offer valid on all orders. No minimum purchase required. Offer valid through 11:59 p.m. Central Time on 11/25/08. Free standard shipping and processing applies to orders to US addresses only; Canadian and/or rush charges, as well as surcharges for large items, are additional. If shipping to more than one address, offer only applies to the first “Ship To” address. Discount will appear at checkout. Offer not valid on any previous purchase or order placed after promotion expires. Cannot be combined with other offers that utilize a special offer code. Does not apply to Day at American Girl Place packages, American Girl® magazine orders, Doll Hospital admissions, or shipments made from American Girl stores. Offer not valid on future exchanges, returns or requests for delayed shipping. How's this for a tongue twister: Today I'm treating you to a Turbo Tooth Tunes toothbrush! Read more below to find out how. Here's Part Two of my Tooth Tunes giveaway. Today it's a Turbo Tooth Tunes -- it's a lot like the Tooth Tunes Jr., except the brush is sized for older kids, and the brushes feature songs from hot pop artists like Miley Cyrus, Rihanna, The Jonas Brothers and Aly & AJ. In addition, the brand will introduce special edition brushes featuring songs rerecorded exclusively for TOOTHTUNES including “Brush It” recorded by Devo and “Waking Up Is Hard To Do” recorded by Neil Sedaka. Of course TOOTHTUNES ‘greatest hits’ will still be available including Black Eyed Peas, KISS, Queen, Hilary Duff, Miley Cyrus as “Hannah Montana,” High School Musical, and more. * Leave a comment on this post. Tell me which Turbo Tooth Tunes song your child would like best (click here for more info on Turbo Tooth Tunes). Don't forget to include your email address so I can contact you. I'll draw a winner at random on December 4, 2008. For the full giveaway rules, click here. Good luck! Leapfrog's See the Learning Photo and Video Contest is running until December 17, 2008. Just upload a video or photo of your child demonstrating a learning moment before the deadline. Then come back to vote for the best entry (hopefully yours!) from January 1-31, 2009. The winner gets a family trip to Hollywood and behind-the-scenes studio tour! * When you cast a vote for your favorite entry, you'll automatically be entered for a chance to win $5,000 for college from Upromise. * After you submit an entry or vote on an entry, your confirmation page will display an exclusive promo code for $5 off a $50 purchase at http://www.leapfrog.com/. Don't forget to come back on Nov. 24 to enter my Turbo Tooth Tunes giveaway! I can't believe Thanksgiving is next week! Before you know it, the holidays will come and go. It's going to be another whirlwind season. Thank goodness for all the gift guides that come up around this time of the year -- let other people do all the tough research for you. I was thinking about publishing one myself but chickened out due to the mountain of possibilities out there for kids and moms. With all the guides around and all the great stuff in them, it's tough enough having to pick from the gift guides themselves. To all you gift guiders, thanks for the tips! Nothing says classic and chic to me like a plaid Burberry Trench Coat. Unfortunately, even their "cheapie" packaway trench is waaaay out of my price range. Today Burberry begins their annual sale at Santana Row, with items discounted up to 40% off. It's still too much of a splurge for me, but I can dream, can't I?